Clinically tested to calm dogs and reduce anxiety, the three hours of beautiful classical piano pieces of the Calm Your Canine 3-CD Series have been specifically rearranged to reduce anxiety in dogs. 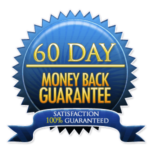 Recommended for all fear and anxiety issues, including separation anxiety and aggressive/reactive issues. Calm Your Canine creates a healthier sound environment for everyone in the dog house. The individual classical piano pieces have been selected and/or rearranged to gradually reduce the heart rate. This is accomplished naturally by progressively slowing rhythms and simplifying auditory data. Music to Calm Your Canine Companion, Volumes 1, 2 and 3 are interchangeable and recommended for when you want your dog to rest, when your dog is left alone, or when anxiety or excitement in your dog is anticipated — thunderstorms, fireworks, or the arrival of guests. People will also find it to be deeply relaxing; for this reason please don’t operate heavy machinery or drive when listening. Each album in the Calm Your Canine series is an hour in length and built upon clinically-tested principles of resonance, entrainment, and pattern identification. For research data, go to the Research page. All recordings are performed by Through a Dog’s Ear co-founder and pianist, Lisa Spector, and produced by Joshua Leeds. I own a doggie daycare in Anchorage, Alaska. We average almost one hundred dogs in our facility each day. They are separated into seven classrooms, each room having approximately 12-14 dogs. 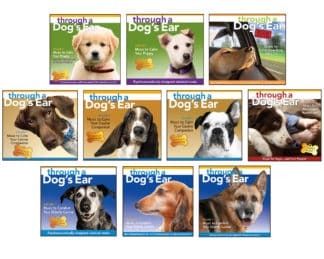 We have been using the Through A Dog’s Ear series since 2007 and find that they are a key component to keeping our clients active, yet calm in a safe environment. We hear from our clients and the public who walk into our lobby that it sounds like a spa. They cannot believe we have so many dogs in our care given how quiet it is, and our facility has no sound proofing. When I put the music on, all three of our Labs come into my craft room, find a favorite spot and almost immediately go to sleep….I sometimes play them when a storm is approaching, as we live in Florida and get tropical storms and afternoon storms during hurricane seasonwhen I put them on, all three of our Labs come into my craft room, find a favorite spot and almost immediately go to sleep….I sometimes play them when a storm is approaching, as we live in Florida and get tropical storms and afternoon storms during hurricane season…they really soothe all of the dogs and the music is enjoyable to me…they really soothe all of the dogs and the music is enjoyable to me. A few weeks ago, our 14-year-old dog Jax was really sick, we thought we were going to lose him. He loved listening to Through a Dog’s Ear, nonstop, when he was sick. We played it all day and night, while we sat and slept on the floor next to him. We play our Through a Dog’s Ear CDs any time one of our dogs are sick or stressed out, and at random times too. We all enjoy it, humans too! My little four paws Angels love your music! The music that I hear is not only calming to animals, but it is also calming to children and adults. It can help anyone or any animal get a good nights sleep. Just listening to it is very calming. You can’t go wrong. I fostered dogs from 2010 to 2017. This CD was used for every new dog that came in from a shelter to me. I recommend this to anyone who asks me, How do I calm my dog in the crate or car. Thank you for this gift of music.